One very important rule of thumb about keeping supplies and having disaster or emergency plans and kits is to not tell others about it, especially if you don't want them showing up on your doorstep or even worse they could make taking your supplies part of their plan. You may even want to have some extra supplies built in to give to some people so they will leave if the do show up. But you must be careful with this strategy as well since they may return with more people to try and take what you have. These are of course worst case planning scenarios, but that is exactly when you want to keep what you are doing a secret. This also goes for other locations you plan on heading to. If others know, all your stuff may be gone when you get there, or someone may have taken over your place. 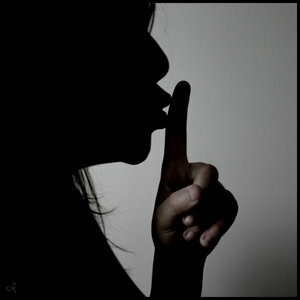 Keep everything a secret and tell your family to do so too.